If conventional septic tank cleaning chemicals are used they can create problems with the septic system’s mechanisms and the ecosystem. Your septic system cannot protect the ground water from all the chemicals that enter it – whether the chemicals are from cleaning products and household products. Such chemicals can also destroy the bacteria in the tank and render it ineffective in breaking down the waste material. So you should be careful not to let harmful compounds from entering this system. You should choose to work with a pumping and cleaning service that uses ‘septic friendly’ cleaning products. These products have natural or bio-based ingredients and are free from chemicals-based cleaners. Some of these ingredients can include extracts from plants. The right septic system cleaning service like ABC can also guide you about the type of things that can be put down the drain. 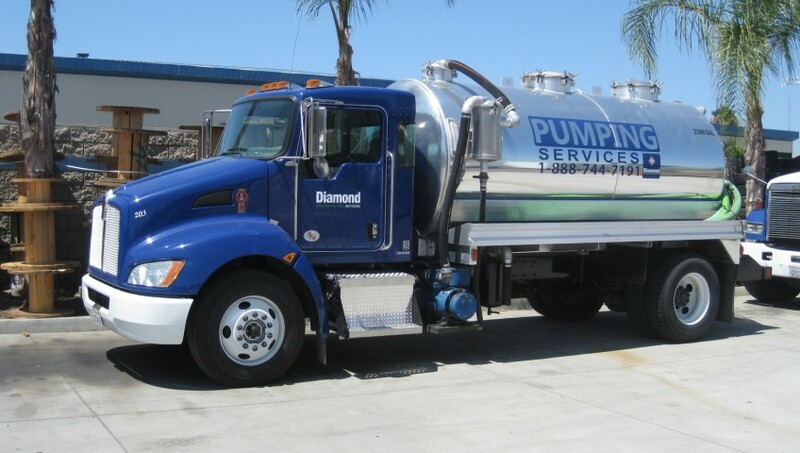 They can also provide preventative maintenance program to ensure that the system is regularly pumped and treated using safe septic tank cleaning chemicals. Even if a cleaner or additive contains organic compounds, you should be careful that they don’t cause any damage or contaminate the groundwater. It is not just the septic tank cleaning chemicals that you should be concerned about. You should also be careful not to allow the following products and compounds from entering your home’s septic system. Water Softeners: When you use water softeners, they can cause harm to the bacteria in the septic tank. They can cause release of higher concentrations of waste into the surroundings. Oil-Based Products: Gasoline, solvents, paint thinners, and insecticides can poison the septic system and affect the water supply too. Bath Oils: You may feel great using bath oils, but they are not good for your home’s septic system. They can cause clogging and create a coating on the waste. This prevents the waste from breaking down, rendering the system ineffective. Grease: Grease from foods like bacon can build-up in the tank. This can result in the pipes getting clogged. Drain Cleaners: Homeowners often use drain cleaners to unclog the drain. However, if you are not using safe materials they can destroy the bacteria in the septic tank. Avoid the use of caustic cleaners. It will be better to stick to boiling water or a sewer snake. It is also important to prevent kitty litter from entering the septic system. It contains clay, which can clog the pipes and is hard to remove. However, the regular use of the cleaners over time can destroy the bacteria to an irrecoverable level. Households cleaners usually come with labels that tell you what level of safety do they offer. Cleaners with ‘warning’ label are moderately harmful. You should completely avoid cleaners with ‘poison or ‘danger’ on the label. Then there are cleaners with ‘caution’ label that means they can be slightly harmful. It is recommended to choose cleaners with labels ‘septic-safe’ or ‘nontoxic’. Besides the septic tank cleaning chemicals, it is also important to be careful with the disinfectants used in your home. These compounds are meant to destroy bacteria, germs, and viruses, but they can also kill the bacteria in the septic system. So you should reduce or limit their use. It is recommended to use plants-based cleaners. If you must use the conventional disinfectants, use them on surfaces like countertops and tables. Avoid the use in toilets and sinks. You should avoid the use of disinfectants anywhere they are likely to enter the drainage system. Besides taking care with the septic tank cleaning chemicals and all the cleaning products used in your home, it is also recommended to reduce the amount of water poured into the tank. This can prevent the tank from getting filled too often. ABC provides professional septic system pumping and cleaning services. They use safe septic tank cleaning chemicals that don’t interfere with the bacterial composition of the tank. The eco-friendly compounds don’t contaminate the local soil and water. So make sure to keep the above-mentioned points in mind with regard to maintaining your home’s septic system. Regular professional cleaning can help in keeping the system working properly and in preventing any potential hazards or damages.